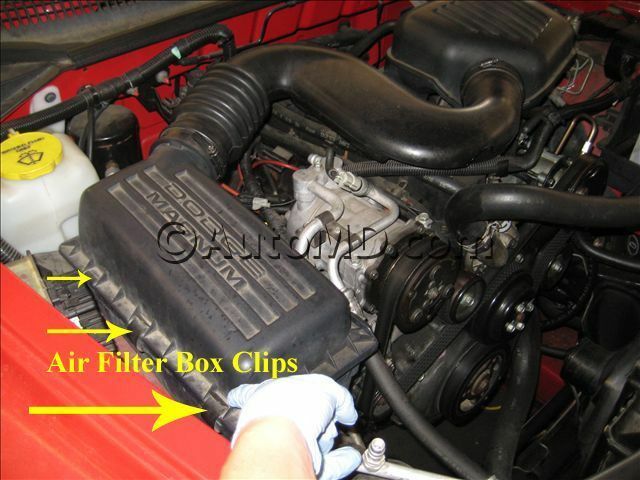 Open the hood and locate your air filter box. Before working under the hood, make sure the hood struts (if applicable) are strong enough to support the weight. If the struts are weak, use a prop to keep the hood from falling. Release the clips or remove the mounting screws from the filter box cover. Lift the cover off the filter box and remove the old air filter. Remember the direction the filter is facing for installation reference. Vacuum out the filter box and wipe it down with a damp cloth if it is dirty. Do not use compressed air to clean the filter box assembly. Install the new air filter into the filter box. Re-install the filter box cover. Install the clamps or tighten the screws to secure the cover. 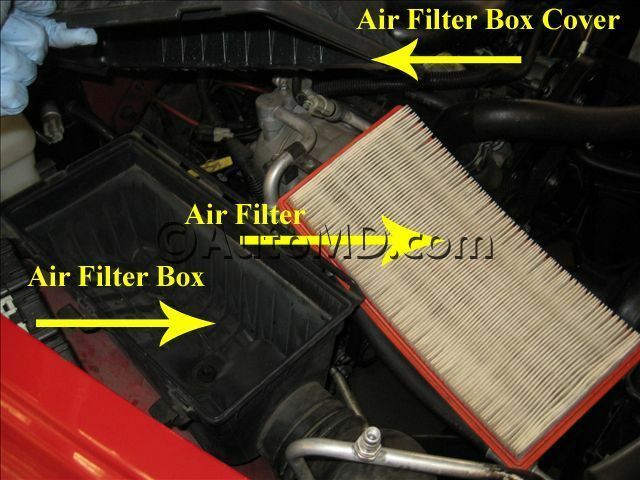 Make sure the air filter box is properly sealed. Check the air intake and vacuum hoses for cracks. Make sure the hose connections to the filter box cover are secure.